May you fully remove my lethargy, sluggishness, and ignorance! The beauty of Hinduism is that there are numerous opportunities for people to thank gods for various reasons throughout one.s life. This could be for rain, sunshine, wind, wealth, health, and for everything that humans enjoy in their life. There are numerous stories in the Hindu scriptures that emphasize the importance of worshipping gods and goddesses before starting a new task. That.s why Hindu calendar is filled with festivals and special occasions. Vasanth Panchami is one of those special occasions on which Hindus worship the goddess of education, Saraswathi Devi. Saraswathi Devi is the wife of Lord Brahma, the creator and one of the Trinity gods. The other two are Lord Vishnu, the proprietor, and Lord Shiva, the destroyer. 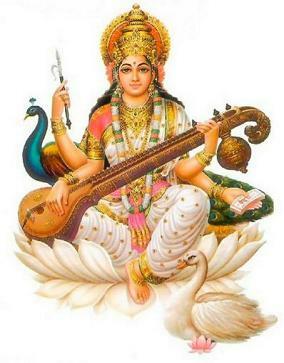 Saraswathi Devi is the goddess of vidya(education). It is her blessings that make on a writer, poet, orator, and an expert in any field of study. That.s why Hindus often refer to an expert in a field of study as .Saraswathi Puthra/ Puthri..
On this day Saraswathi Devi is worshipped at temples and homes. People get ready in the morning and place books in front of Saraswathi Devi, and perform Shodasha Upachara Pooja to the goddess. After the pooja everyone takes the prashad(holy food offered to Saraswathi Devi) and children start reading and writing for the first time under the guidance of a teacher or parents. Saraswathi Devi is worshipped all along the year whenever any educational task is started at any time of the year. Vasanth Panchami is also the arrival of spring season. From this day onwards trees start blossoming with new leaves and buds. Spring season marks the arrival of new life not only in Hindu tradition but in all traditions faiths. The hidden meaning of new life is that high and low times are cyclical and there is always light after darkness. Further, life and death are inevitable to every kind of life on this earth, and one must always remain hopeful of better time in spite of difficulties and challenges. Spring time is also an occasion to offer prayers to Kama Deva, who is the god of love and desire. Obviously, beautiful springtime colors in nature create a mood for passion and desire. Kama Deva is responsible for creating passion and desire, which encourages male and female forms to unify and create new life. 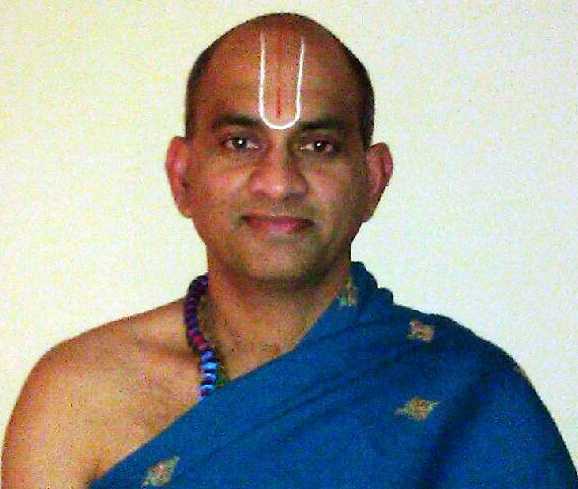 The act of creating new life is regarded as very important in attaining God through Karma Yoga. In Hindu way of life creation is regarded as .Yagna. (worship of gods through fire). However, gaining control over Kama is highly important for every human being to perform Karma Yoga in a balanced manner. Due to this significance, people consider Vasanth Panchami an auspicious day for marriages and to perform the .gruhasthashrama dharma. (married life) through Karma Yoga. So, make sure to take time and worship the goddess of education, Sarawsathi Devi on this day and get her blessing for a good education!